Another year, and another Italian GP at Mugello. 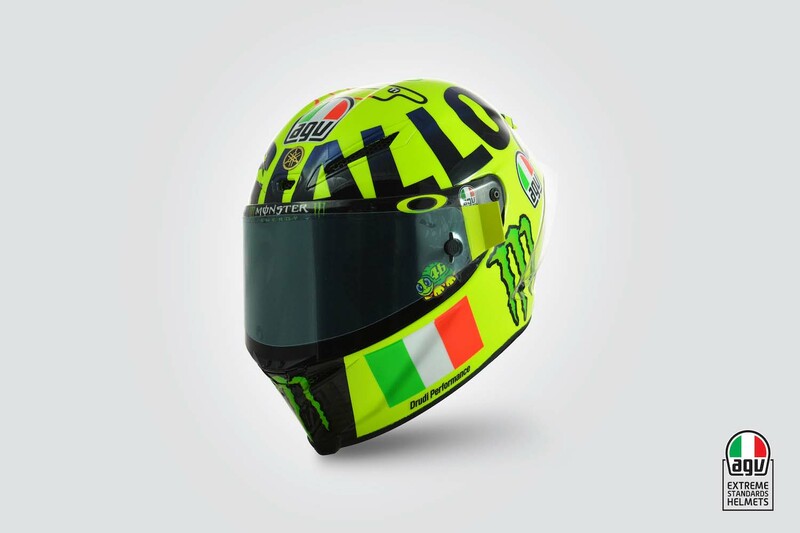 As usual, this means that we have another special AGV helmet from Valentino Rossi to show you. 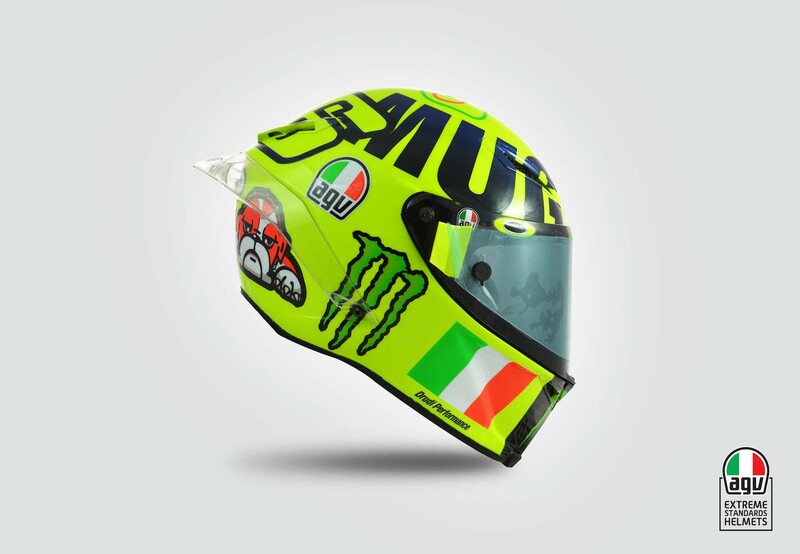 This year’s helmet is called “Mugiallo” – a play on the Italian word for yellow (“giallo”) and of course the Mugello race track – and is the work of Aldo Drudi, the same man who made the Burasca 1200 that we showed you yesterday. 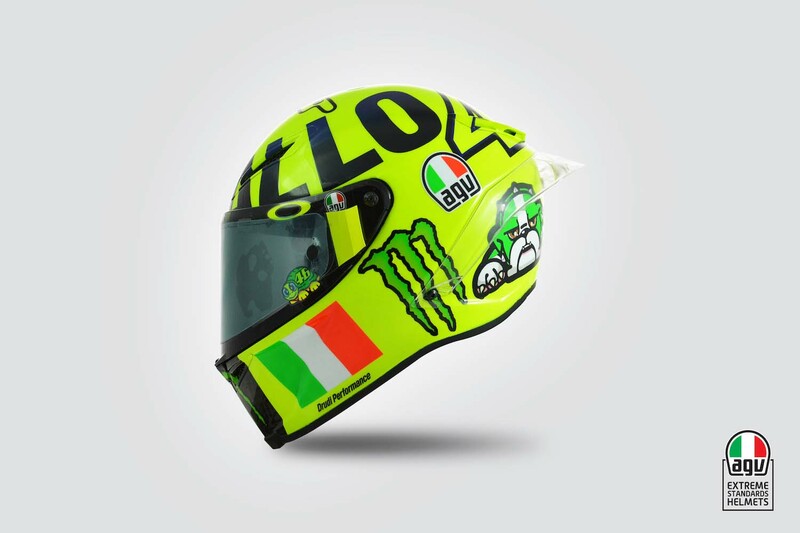 As you can see from the photos attached, the AGV Pista GP helmet features “Mugiallo” across the crown of the neon helmet, with Rossi’s “46” stenciled on the top of the rear spoiler. 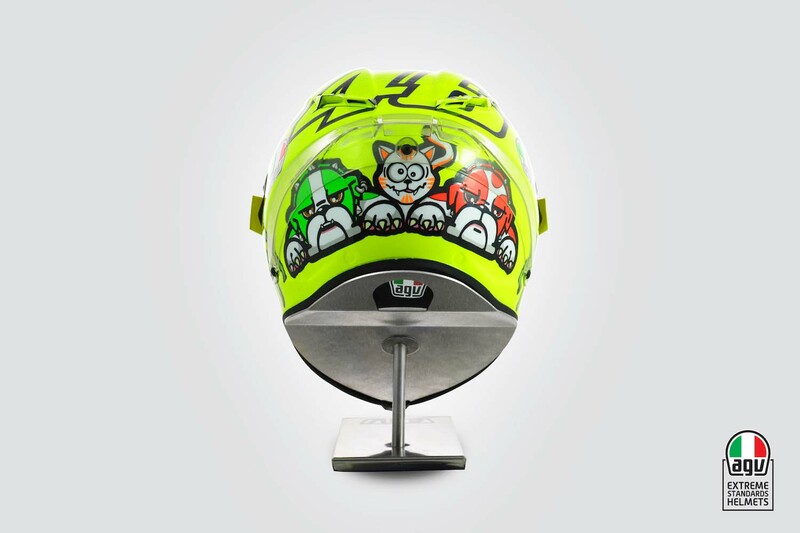 On the nape of the helmet, Rossi’s two dogs (Cesare and Cecilia) and cat (Rossano) are featured, while the Italian flag is on either side of the chin. 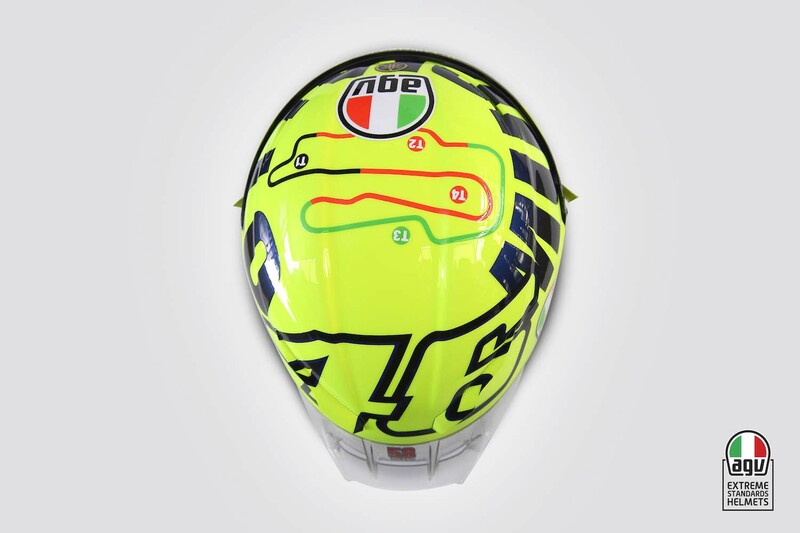 The top of the helmet as the layout of the Mugello circuit drawn on it. As we saw during Saturday’s qualifying sessions, the bright neon yellow helmet really stands out on the time sheets.